The OnePlus 7 is widely expected to arrive in the Q2 2019, going from OnePlus’s previous launch schedules. But in a bit of a twist, it appears that OnePlus plans to launch not one, but two devices simultaneously. CAD renders of the OnePlus 7 were previously released, showing off a notchless design made possible by the use of a pop-up selfie camera, and triple rear cameras. 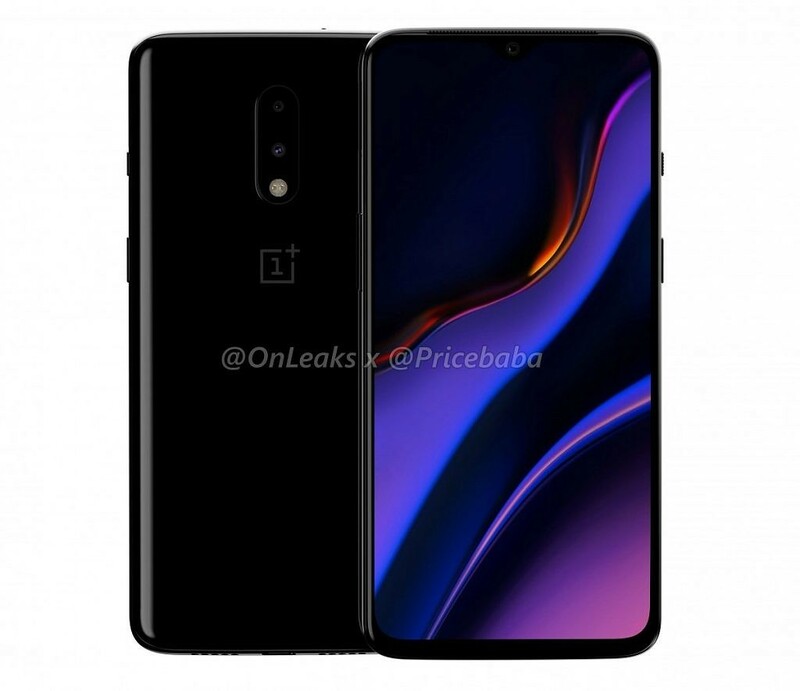 As it turns out, the device previously leaked is likely to be the “Pro” variant of the OnePlus 7, as @OnLeaks and Pricebaba have now released CAD renders of the standard variant of the OnePlus 7. If the OnePlus 7 seems familiar, you aren’t alone. The device looks very similar to the OnePlus 6T, with a slightly different camera module and a wider earpiece grille. The camera flash now finds itself situated within the camera module design. There is no fingerprint sensor, which means that we’ll be witnessing more of the in-display optical fingerprint scanner. Much like the OnePlus 6T and unlike the OnePlus 7 “Pro”, we see the waterdrop notch that houses the front facing camera, taking away the need of a pop-up selfie camera at the cost of losing some screen real estate. OnePlus appears to be playing it safer with the OnePlus 7 and is reserving the crazier design for the OnePlus 7 Pro. This may not be an entirely bad thing, as the design of the OnePlus 6T was widely appreciated but the moving parts on the OnePlus 7 Pro’s selfie camera, as shown off in the leaks, has invited critical opinion. The OnePlus 7 could be a hardware refresh of the OnePlus 6T, bringing in updated specifications like the Qualcomm Snapdragon 855 SoC and perhaps a better camera setup, giving us the best of both worlds. Launching two similar devices will also help OnePlus target a wider price segment.